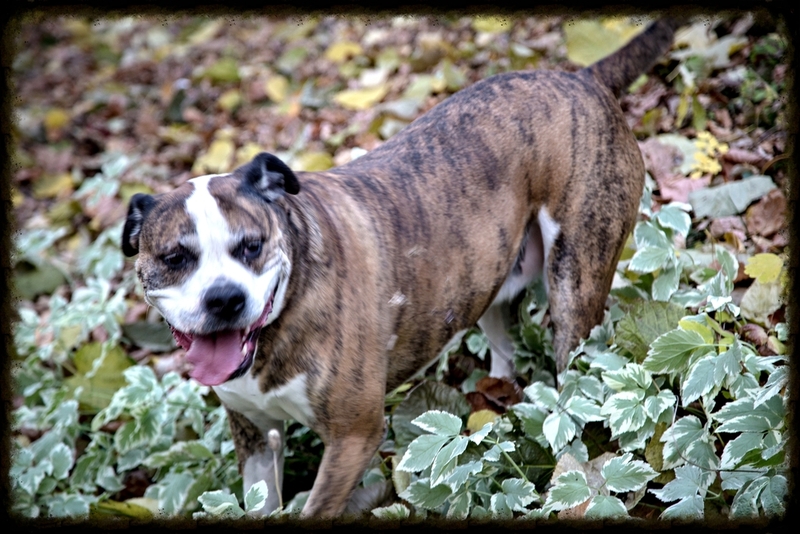 Hooves 'N Hounds started as a dream 8 years ago when Jessi adopted Mungo, an American bulldog puppy. Failing to thrive as a healthy vibrant puppy, Jessi took Mungo to a vet who told her to put Mungo down because she was born with "red" paws; indicative of a fatal disease. Refusing to give up on her beloved friend, Jessi sought a second opinion. Today, Mungo is 8 years old, healthy and happy as ever ruling the roost at Hooves 'N Hounds! What started because of a sick little puppy Jessi refused to give up on 8 years ago has now become a fully functioning boarding and rescue facility. With the help of her supportive and dedicated husband Gerr, Jessi has managed to fulfill her dream, forever leaving a mark on the lives of numerous four-legged friends. The demands of having a boarding and rescue facility are shared with four amazing kids (not goats - actual humans) who all pull up their sleeves to lend a hand. From a newborn all the way to a First year Education student, this family runs the gamut. Additionally, Hooves 'N Hounds is home to three quirky horses, three beautiful dogs, five mischievous cats, five chickens, three goats and one pot bellied pig. Anchored by Jess and Gerr, they wake up every morning thankful to have wonderful kids, animals and a successful boarding and rescue facility! Our two handsome boys; friendly, kind and spoiled! Our pot bellied pig, more belly then pot! Our rescue horse turned kids horse! Mama Bear - Mungo...queen of the farm! Jags is a rescued pooch who keeps things in order at the ranch!